Our quick step-by-step installation guide seen below makes installing Nova-Flo easy! Please note that we recommend using a competent plumber and care should be taken to ensure water supplies are shut-off prior to work commencing. 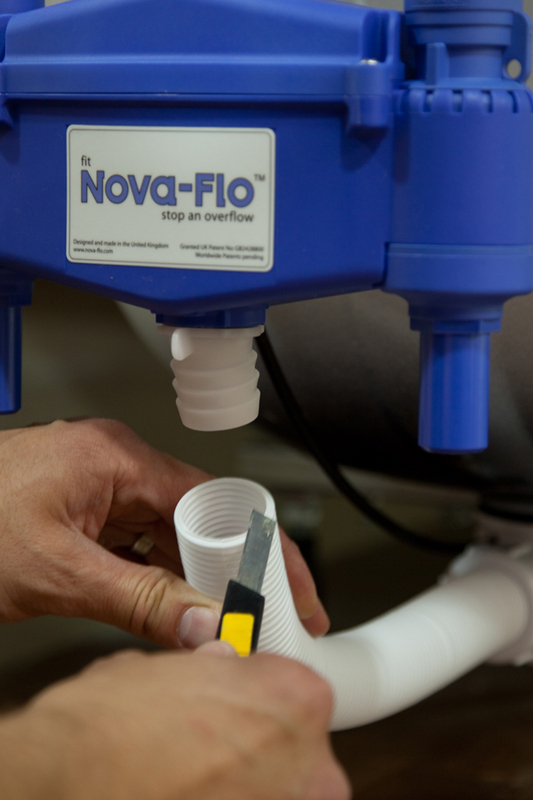 Trim the lower overflow pipe and attach to the lower Nova-Flo® barb fitting. Connect the hot and cold water supplies (either way around) using push-fit flexy hoses. 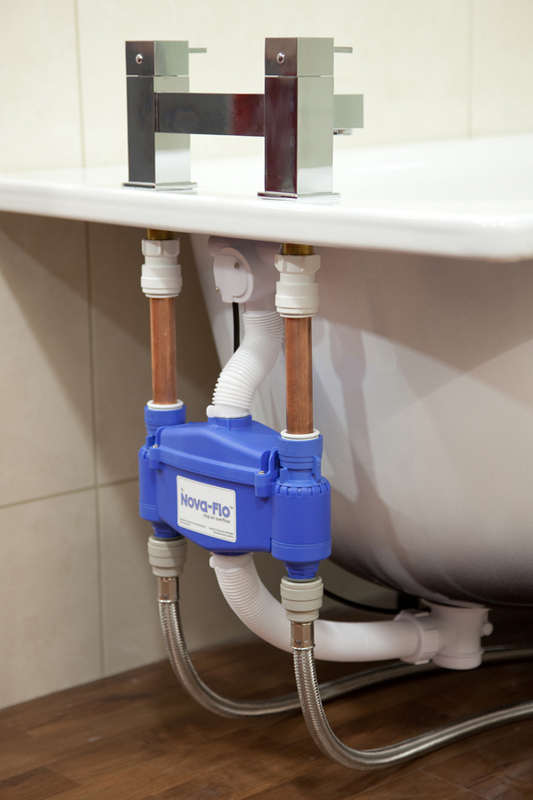 The above image shows a typical completed Nova-Flo® installation for bath mounted taps. With the confined space behind a bath, compression fittings are unsuitable since there is limited room to swing a spanner. Push-in pipe connections are the obvious solution for ease of installation. Apart from the connections to the taps, every other pipe join simply pushes together. 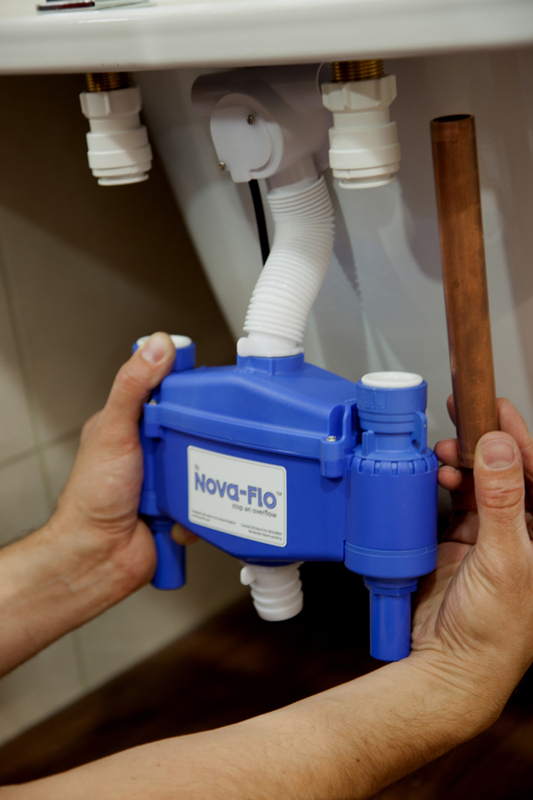 Hot or cold supply pipes can be fitted to either side of Nova-Flo® to eliminate any guesswork. As standard, Nova-Flo® allows for 22mm pipework (or using 15mm with an enlarger). Internal bore dimensions run at 17mm so it can be used with pressure pumps, power showers or simply a header tank with no loss of performance. 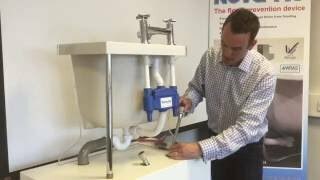 The width between the pipe connections on Nova-Flo® has been designed to accommodate bath mounted tap supplies of 180mm. Other taps such as wall mounted or overflow-fillers will require an an adaption of the plumbing pipework. 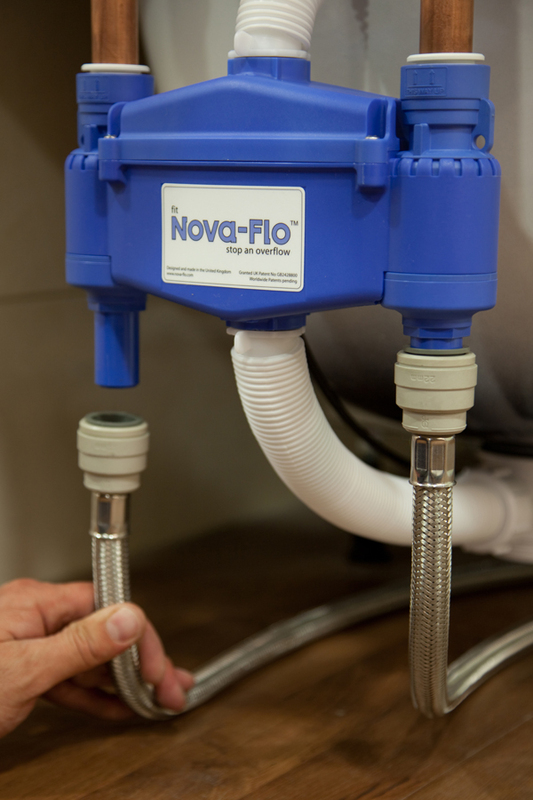 Please note that you may need to purchase relevant plumbing connections to connect a Nova-Flo® unit which are not supplied. 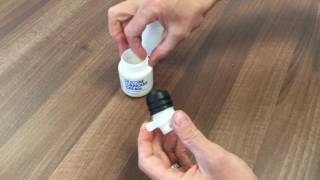 We can advise on these and supply you with recommended fittings if required. Installation time is generally under one hour for bath mounted taps.